LANSING — With little-to-no information available to the public about who's behind them, two secretive funds have been using robocalls to attack Democratic candidates in key Michigan House districts. At least six different districts across Michigan have seen the calls so far — with one resident of Northern Michigan’s 106th District reporting that he’s received one to two calls a week. The calls from Reinventing Michigan and Better Michigan Fund have often used the same phrases that mailers from the Michigan Republican Party have carried this fall. 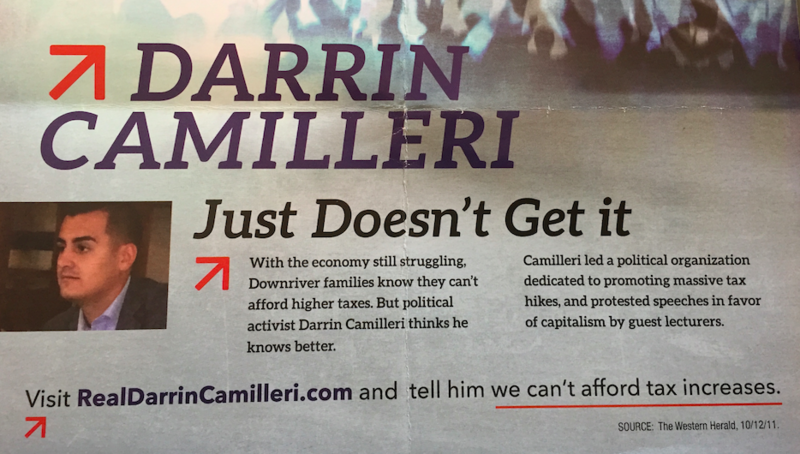 For instance, a mailer from the Michigan Republican Party slammed Democrat Darrin Camilleri, of Brownstown, in the Downriver 23rd House District for his stances on tax policy. Camilleri “led a political organization dedicated to promoting massive tax hikes and protested speeches in favor of capitalism by lecturers,” the mailer said. The same quote was used in a robocall against Camilleri by Reinventing Michigan. 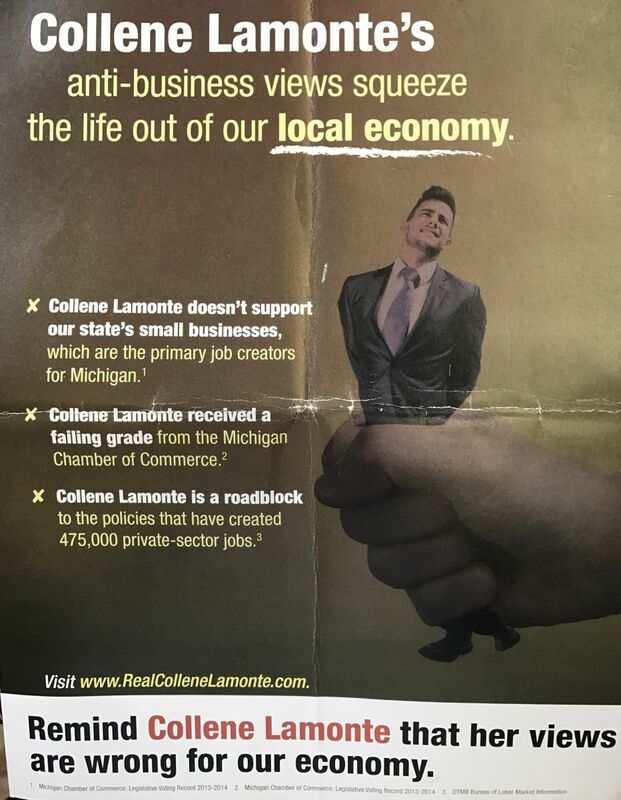 On the other side of the state in Muskegon County’s 91st House District, a Michigan Republican Party mailer attacked Democratic candidate Collene Lamonte, of Montague, over economic stances. “Collene Lamonte is a roadblock to the policies that have created nearly 475,000 private-sector jobs,” the mailer said. That same sentence appeared in a robocall that was sent out by Better Michigan Fund in the district. The sentence is also used in a website the Michigan Republican Party paid for against Lamonte: realcollenelamonte.com. 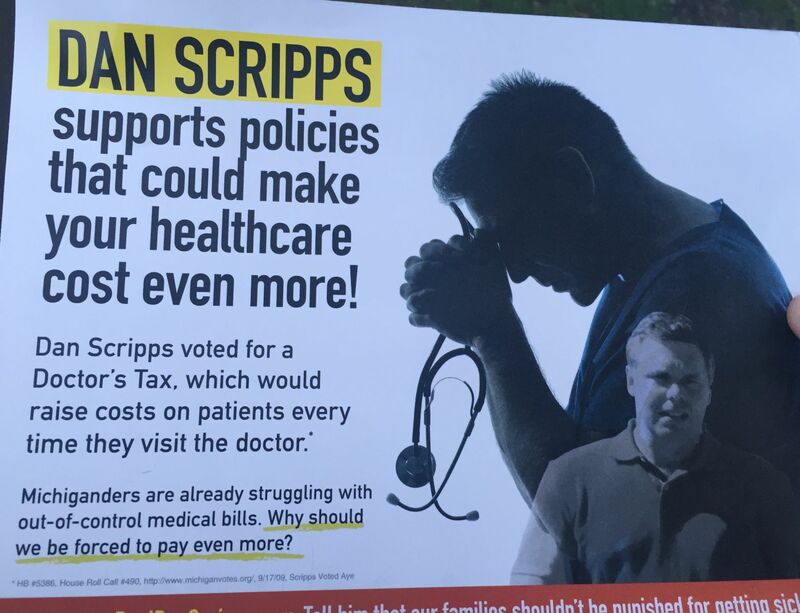 In the Northern Michigan 101st, Better Michigan Fund attacked Democrat Dan Scripps, of Northport, over the cost of medical care. “Dan Scripps voted for a Doctor’s Tax, which would raise costs on patients every time they visit the doctor,” the group’s robocall said. The same sentence appears in a Michigan Republican Party mailer against Scripps. The line also appears on the Michigan Republican Party-sponsored website www.realdanscripps.com. In many of the calls from Better Michigan and Reinventing Michigan, a narrator who says her name is Anna delivers the attack lines. In addition to the 23rd District, 91st District, 101st District and 106th District, the calls have also gone out against Democrat Theresa Abed, of Grand Ledge, in the 71st District and against Democrat Bryan Mielke, of Mt. Pleasant, in the 99th District. A spokesperson for the Michigan Republican Party didn’t respond to a question about whether the party was working with Better Michigan and Reinventing Michigan. Because the robocalls don’t tell people expressly how to vote on Nov. 8, the two groups funding them don’t have to disclose their donors under Michigan’s easy-to-dodge campaign finance regulations. The robocalls fall into a category of politicking known as issue advocacy. In 2013, Michigan Secretary of State Ruth Johnson issued an interpretative statement that required disclosure of donors behind political ads that referenced candidates just before the election. However, Republicans in the Michigan Legislature overturned that ruling by rewriting Michigan’s campaign finance law. In that same bill that specifically blocked the disclosure of issue advocacy donors, GOP lawmakers inserted language that they contended would bring “greater transparency” by requiring disclaimers on robocalls and ads. Those “disclaimers” require groups making robocalls or placing candidate-focused ads to report their own address or phone number. In the examples currently unfolding in the House races, that identifying information is essentially useless. This is not the first time the two accounts' names have appeared in Michigan politics, however. In 2014, Hardworking Americans, a Super PAC that supported Republican legislative candidates, reported receiving contributions from groups with those names, totaling $25,000. In the Super PAC’s disclosures, Better Michigan and Reinventing Michigan were described as an administrative fund and an administrative account, respectively. There are past examples in Michigan of groups acting as administrative accounts of local or state political parties. Because they’re connected to local or state political parties, they can avoid federal filing requirements with the Internal Revenue Service and because they work solely in issue advocacy, they avoid state campaign finance requirements. In the Super PAC’s disclosure, the two funds are listed at a Grand Rapids address: 60 Monroe Center NW Suite 200. The address is a large mixed-use building in downtown Grand Rapids. Suite 200 is not listed on the building’s directory on the ground floor. Better Michigan Administrative Fund also gave $4,000 in 2013 to the Ottawa County Republican Committee, which discloses its donors, according to campaign finance records. In the disclosure, the name Natalie Stewart appears on the address line of the Better Michigan contribution. Natalie Stewart is also finance director for the House Republican Campaign Committee (HRCC), which works to elect Republican House candidates. A spokesperson for HRCC declined to comment on why Natalie Stewart's name appeared on the 2013 disclosure. Better Michigan Fund has placed multiple robocalls against Democrat Robert Kennedy, of Harrisville, in the Northern Michigan 106th House District. A resident there first flagged the robocalls for the Michigan Campaign Finance Network, saying he had been receiving one to two calls a week. Kennedy himself issued a statement about the robocalls in early October, connecting them to the fact that Michigan ranks last in the nation for transparency, according to the Center for Public Integrity.